Does Jegster 945505K fit your vehicle? 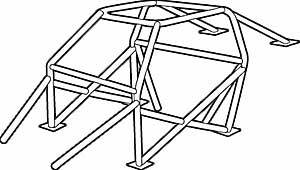 This roll cage will be close and you will be able to adjust the fit before welding. My truck has a 3 inch body lift. Does it need to be removed? For the best structural integrity you would want to tie the bars to the frame. Removing the kit would be ideal. Is this the complete kit? Will I have to buy any other kits to compleate?